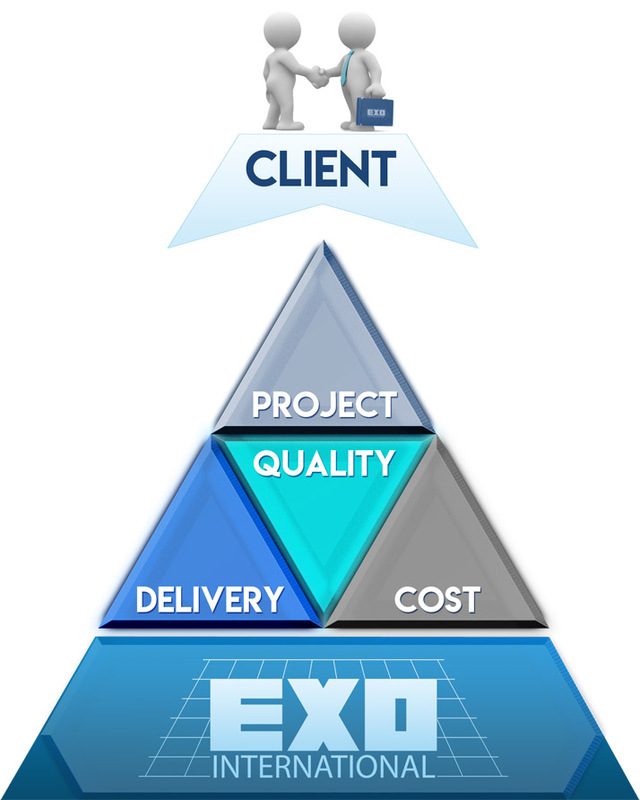 Our mission is to ensure the success of complex projects for specific industries, constantly striving to answer our clients’ needs by adapting our services and finding innovative solutions. Our vision is to be the world’s first provider of customized lifting and handling solutions that will be admired by clients and employees for consistently delivering and rewarding excellence. With over 20 years’ experience with leading-edge industries, we ensure proven quality and compliance of our equipment with factory acceptance tests, making sure it exceeds our client’s expectations in terms of safety and quality. Our equipment is tested in nominal, dynamic and static load before delivery. They shall first go through functional, dimensional and visual checks in accordance with our quality procedures. 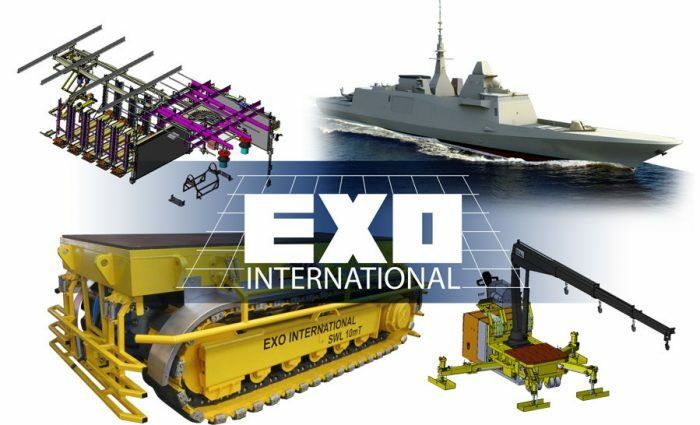 Whoever we deal with, and wherever we operate, EXO INTERNATIONAL is committed in ensuring high QHSE standards. 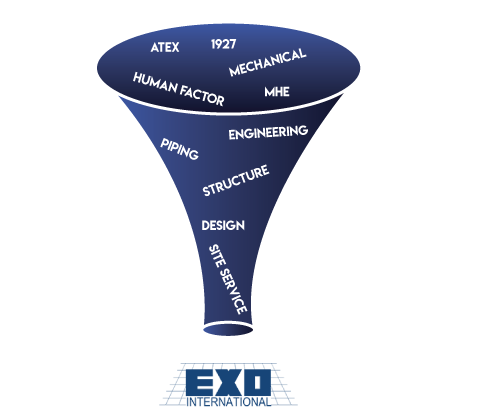 Our processes and procedures are in continual improvement to reach the ultimate objective of the highest quality without any incident related to health, safety and environment. 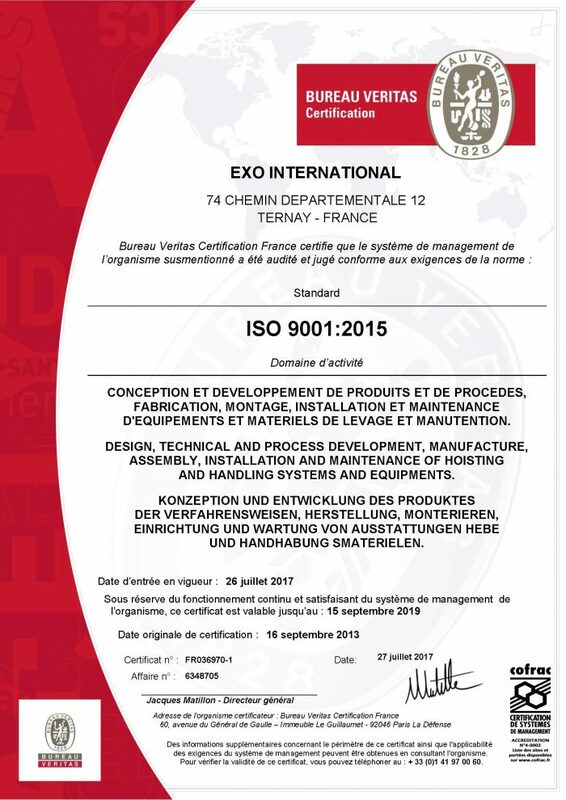 We are compliant with requirements of international standards such as ISO 9001:2015. We strive to provide the best adapted solutions to any of our clients’ challenges, especially for lifting and handling systems. We are used to helping operators and contractors to meet their challenges expertly and efficiently using elaborate engineering and design tools. All of our personnel typically have many years’ experience in the sector and each department is specifically involved in providing the best solutions. 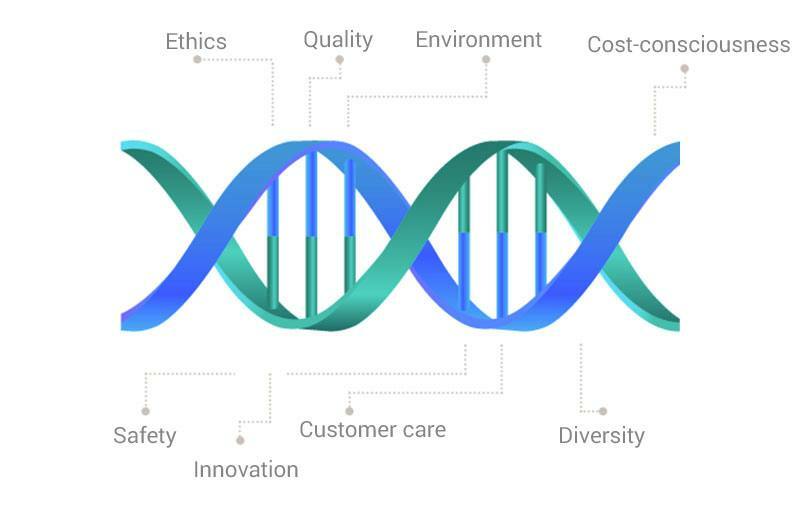 It is with dedication and passion that our employees will deploy their knowledge and expertise quickly in order to answer to the client’s most specific needs, while always looking to continuous improvement.